Did you know you can now have a charming reminder of the Roker Seaside in your very own home? With the launch of a brand new range from Topps Tiles, you can bring one part of Roker Lighthouse – one of Sunderland’s most renowned and well-loved landmarks into your house. During the sympathetic restoration of Roker Pier & Lighthouse, work was needed to replace and repair the original Minton Hollins tiles which line the walls inside the lighthouse. Luckily, the original design for the tile was still held by tile manufacturer Johnson Tiles, of Stoke, who merged with Minton Hollins in 1968. The team here at Roker Pier have been working alongside Johnson’s to create new tiles to complete the sympathetic restoration of the lighthouse. Now, as part of their new Minton Hollins range, Topps Tiles has released the Roker tile and it is available to purchase online and in store! It’s been amazing to have been able use the original design to create the new tiles which are an accurate replica to those originally fitted inside the lighthouse. Now we can really visualise and understand what the structure would have looked like over 100 years ago when it was first built, offering a really authentic visitor experience. We know many people from the local area and beyond have fond memories of visiting the beach and the pier here at Roker, so this gives you a unique chance to bring these nostalgic moments to the forefront of your minds once more by having these charming reminders of Roker in any room in your homes. 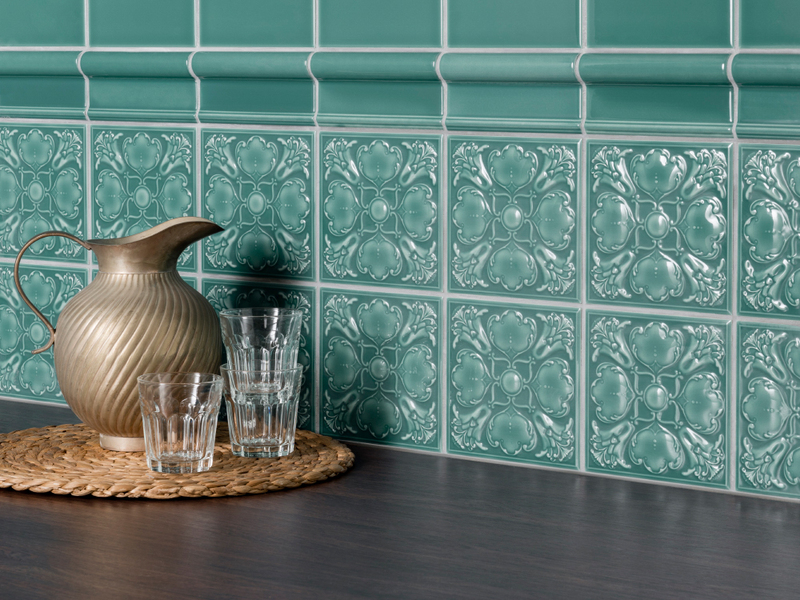 There are a variety of sizes and tiles available in the Roker-inspired range including patterned décor tiles, plain tiles, and complementary skirting tiles, bevelled tiles and border tiles. A variety of coastal-themed colours can be chosen from including Roker Teal Ripple (which is the same colour as those used in the lighthouse), or Volcano Splash, Sea Mist, Scuba Blue and Stormy Retreat. We hope you enjoy being able to bring a bit of the Roker seaside into your home!